A replacement controller for the MemRabel 2 Dementia Care Alarm, the Remote Control features an easy-to-use design to enable you to easily adjust your MemRabel 2 to suit user needs. The MemRabel 2 Audio/Visual Dementia Care Alarm is an ideal memory aid for those suffering from dementia or memory difficulties, providing reminders for daily activities such as medication, dinner and drinking water. However, the included remote control can become lost or damaged, making it difficult to adjust and alter the settings to best suit the user's needs. 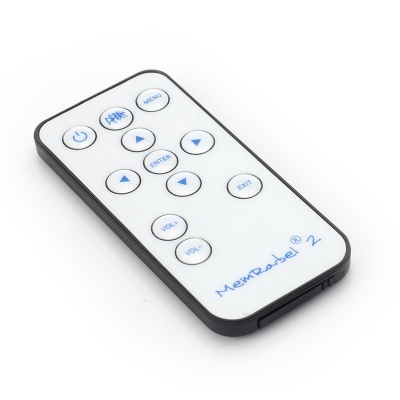 The Remote Control is a replacement remote control for the MemRabel 2, helping you take full control of the device once more to add more reminders or adjust the setup. Its simple design enables intuitive use, making it easy for you to set reminders to best suit the user's needs and preferences. Please note that this listing is for the remote control only, and does not include a MemRabel 2.